It looks so cute and lovely. So soft and smooth to touch, suitable to people who have sensitive skin or the babies. For its healthy materials and natural fabrics. 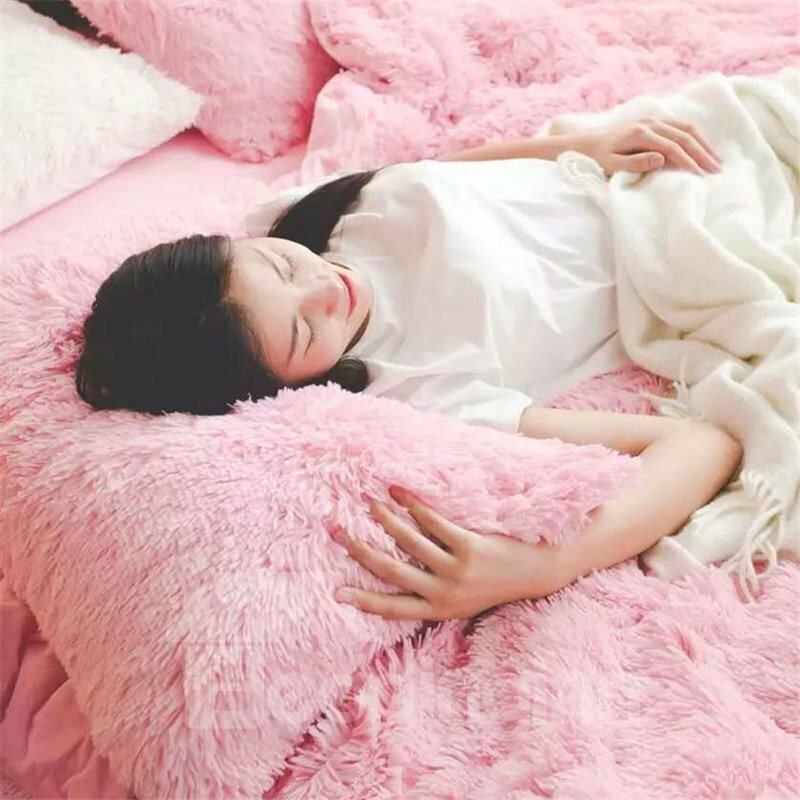 The pink bedding sets is so bright and beautiful, add more sweetness and joy to your home. Absolutely protect you from any cold in winter and keep you in a good dream. If you need matching pillows, please click SHOP THE SET. Received this fluffy products and immediately used it just for trail, too soft and smooth. So sweet!! !Good quality feel good super good overall. Also made my house super beautiful.Come on, baby,just do not hesitate! Almost satisfied, no color fading or floating hair after washing! It is particular nice for its pink color, so sweet! Material felt special smooth and soft! Very satisfied with a shopping! Hi it says this is a full size duvet or whatever. Im wondering what that means? Will it fit my queen size bed? Hello I have a question for anyone that has purchased bedding. What all comes in the bedding ? Is it just the blanket and sheets or ?